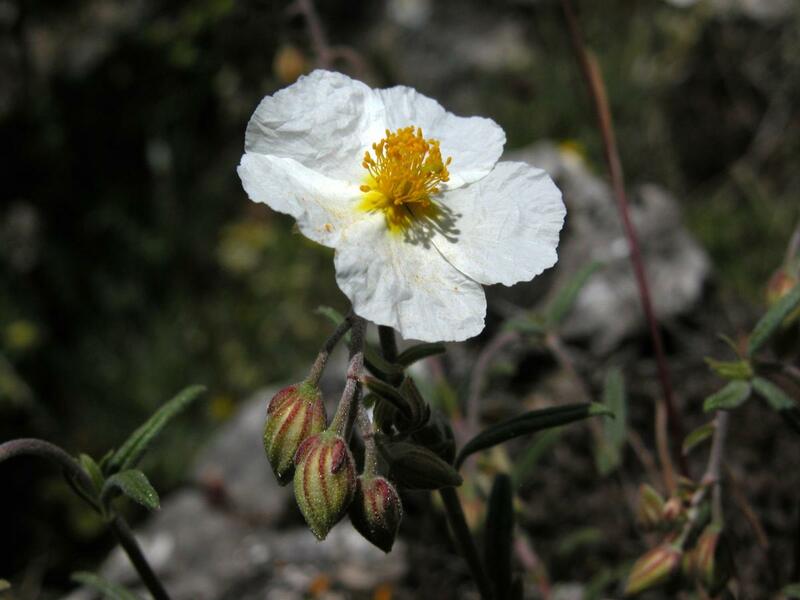 LATIN: Helianthemum apenninum (L.) Mill. 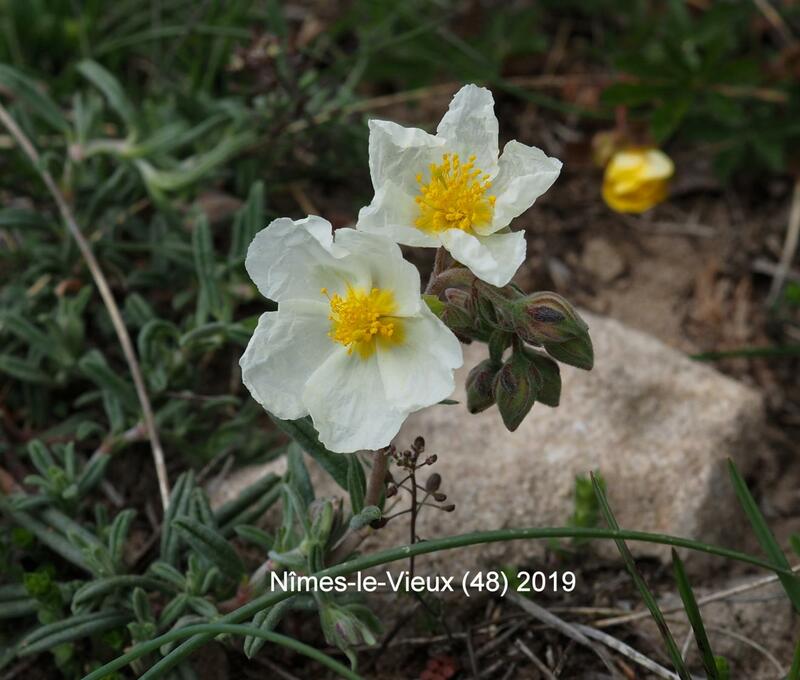 Habitat: (view in new page) :Secondary : Grasslands with Gerard's Thrift on dolomitic formations, Steppe-type dry grasslands of the Causses (limestone/dolomite). 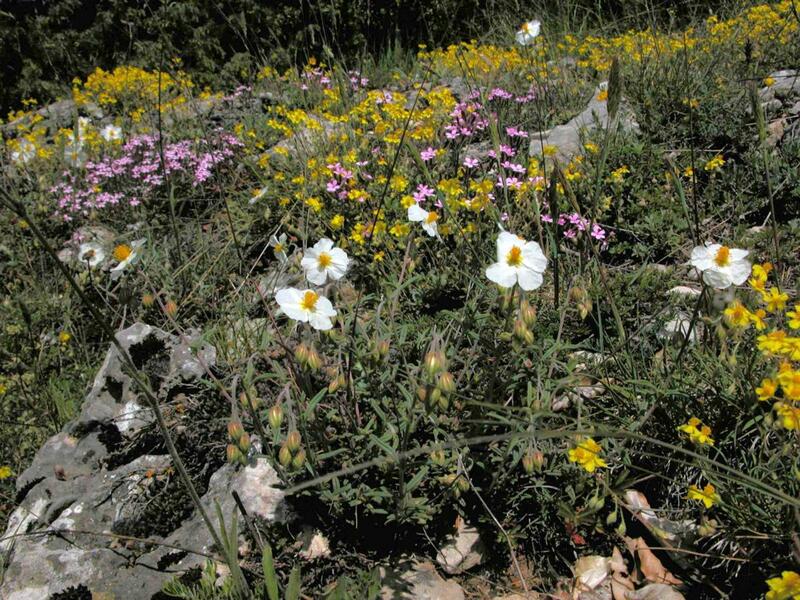 Habitat : (s'ouvrir nouvelle page) :Secondaire : Pelouses à armerie de Gérard sur arènes dolomitiques, Pelouses sèches d'allure steppique des Causses (calcaire/dolomie). Écologie : Pelouses et coteaux calcaires, dans presque toute la France. A much-branched, Iow, woody, perennial with many flowering stems 8-15 cm high, growing from numerous woody, prostrate, leafy stems. Flowers: 25 mm, on bracteate pedicels; sepals ovate, three-veined, hairy only on the veins; petals white; styles crooked or curved. Flowering UK: Ear1y June-late July. 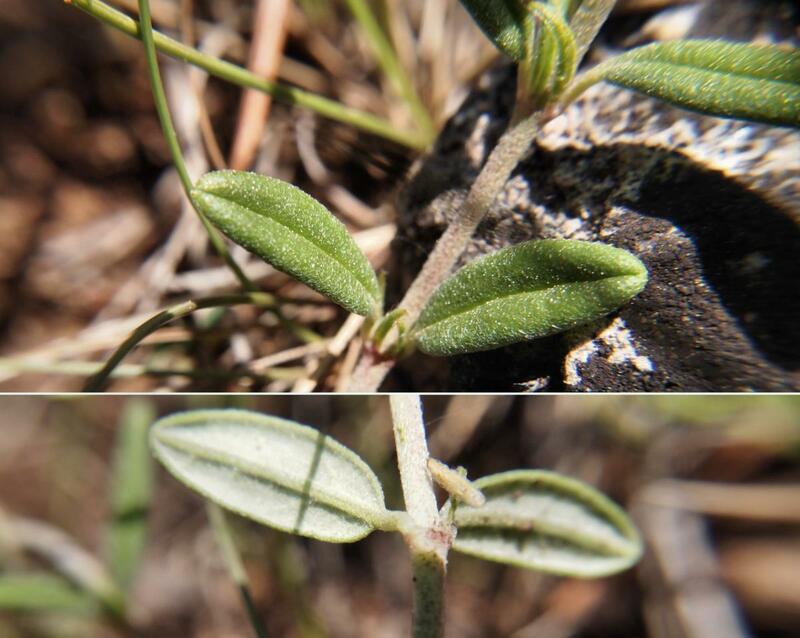 Leaves: 6 mm long, small, lanceolate, hairy, stipulate, margin recurved. 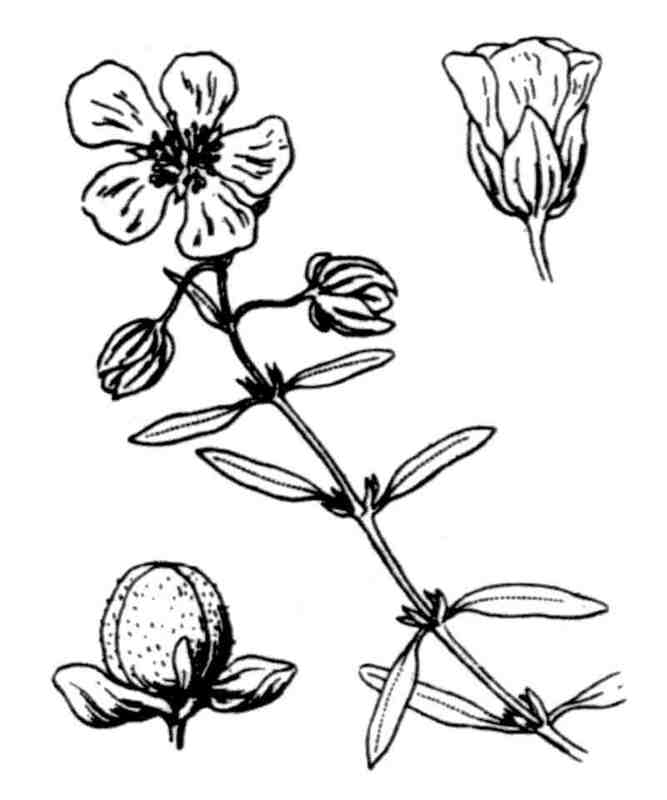 Fruit : capsule grosse, subglobuleuse, tomenteuse, égalant les sépales ; graines nombreuses granuleuses. 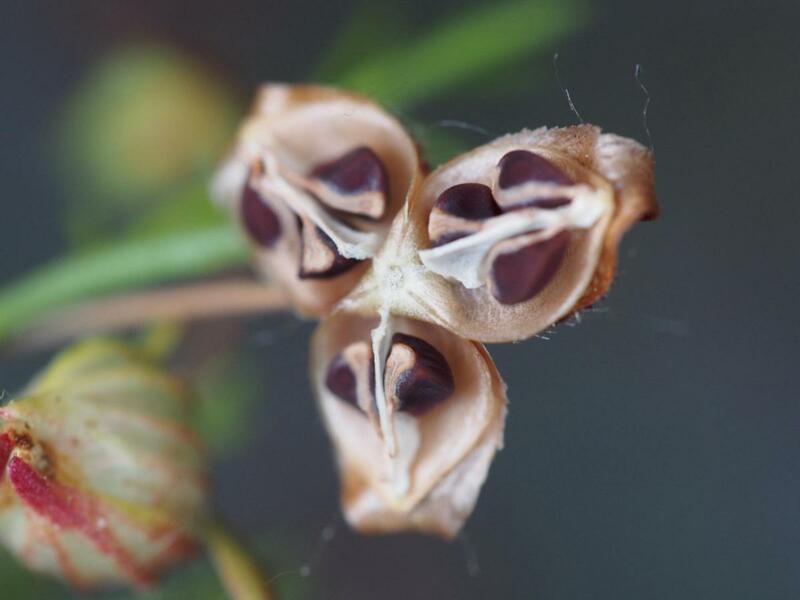 Fruit: Capsule 7 x 6 mm, ovoid; seed 2.0 x 1.2 mm, more or less conical, netted, brown.